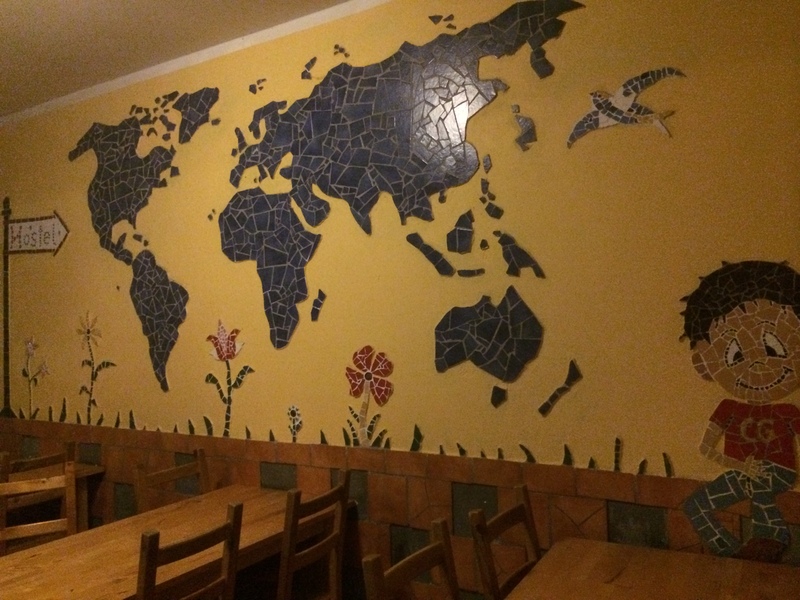 The hostel (Globetrotter Backpacker’s Hostel) is pretty neat. Despite its showers being prison-style, gang showers and also in spite of their needing a good scrub down, the rest of the place is unique and likeable. 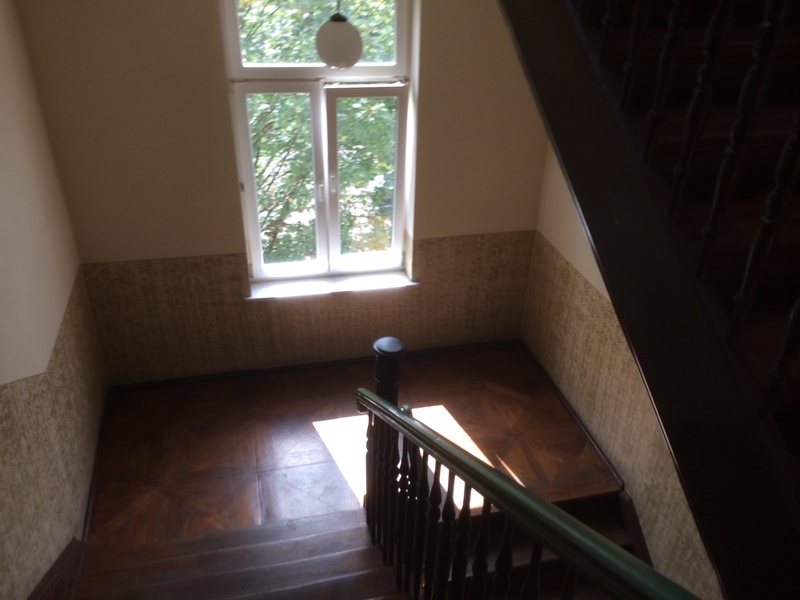 The stairs are broad and the wood creaks as I climb to the third floor (or fourth floor for Americans), and the railings are all carved in ways that private homeowners just don’t have the time or money to commission anymore. It seems like this used to be either a single large home or an apartment building from the early 20th century. 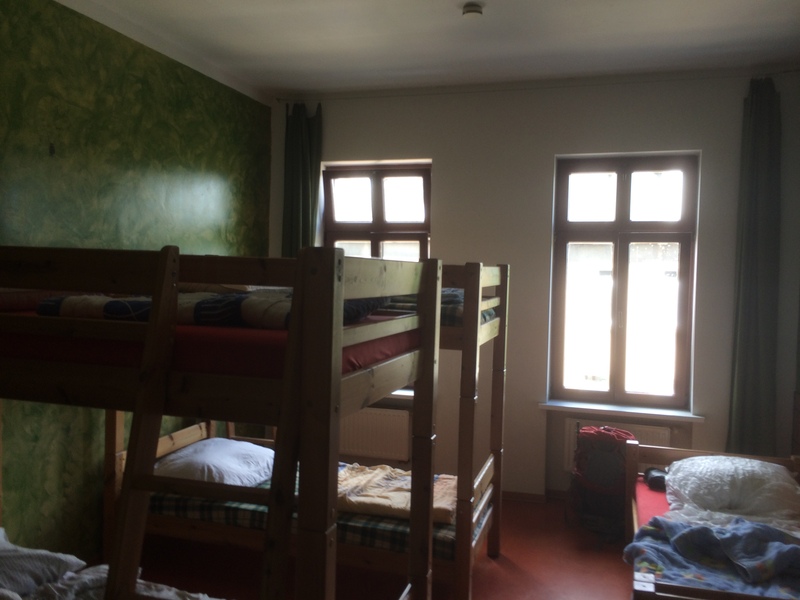 The ceilings are all 15 or more feet high and the dorm rooms themselves seem all to be equally spacious. The dorm overlooks a street that runs north away from the city and away from the Hauptbahnhof (the largest train station in the world by floor space). Under the window is one of the multitudinous city streetcar lines, and the trains rumble by Out back is a terrace. Last night, I found myself sitting on the terrace and chatting with a guy from the Munich area of Bavaria (south-eastern Germany). He’s here for a theater audition. We conversed in the frank and broad kind of way that I really appreciate when I speak at length with travelers. We covered everything from the Edward Snowden fiasco (Germans seem universally to love him) to the close friendship between the U.S. and German governments (best pals, especially since unification) and why Germans are almost always surprised to learn that I really love visiting Germany and exploring all it has to offer (this is not the first person in Germany who tells me that they are convinced that everyone sees them as “the bad guy” as a residual effect of World War II). This is just the sort of single-serving friend I really appreciate having. I suspect that people who are predisposed toward conversation are more forthcoming or forward about their usually-private opinions with the knowledge that they will never again meet the person with whom they’re conversing. Perhaps they see it as I do: a fleeting and valuable opportunity to get an honest impression of another person’s views on their own culture – and maybe to get a view into the culture, if only by indirect relief. There are six beds in my room – more than I’d prefer. One of my roommates is a girl who makes no daytime appearances, an Irish guy here for a language course, and a tech guy from Shenzhen, China (he’s surprised that I know of his city). When it comes to “Who speaks English less clearly?” the guy from Ireland wins out, if only by a hair’s breadth. I don’t want to see too much of the city today because I don’t want to spoil too many surprises for my week here with Nicolle. There’s little I enjoy more in the world than exploring a new city with her. However, I do a quick tour around the city, and it is very beautiful. I like that the city center is closed to vehicle traffic, so wandering from one beautiful lane to the next is a relaxing stroll. There are bikes everywhere. At any given major bike parking area, there are hundreds of bikes – hundreds. (See photo). Around Leipzig, Germany – BIKES! 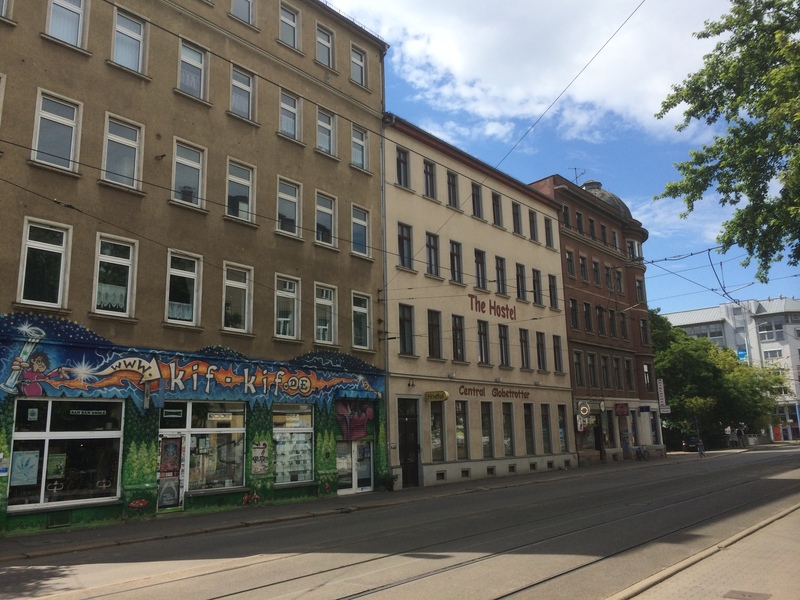 This entry was posted in Travelogue and tagged bicycles, city, east germany, germany, Leipzig, travel, traveling, Walking, walking tour. Bookmark the permalink.